In roman mythology, Saturn was a god of agriculture. Greek knew him with name Cronus, who was also father of Zeus. 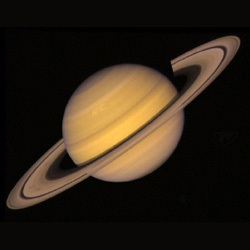 Saturn is known throughout time and first telescopic observation of it was made 1610. It has eighteen moons.